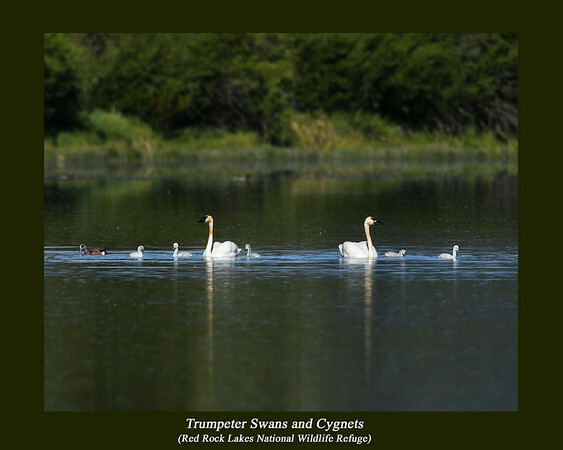 A family of Trumpeter Swans with their Cygnets in Upper Red Rock Lake at Red Rock Lakes National Wildlife Refuge in Montana. I believe that the red on their necks is from the constant 'dipping' into the muck on the bottom of the lake. June 12, 2007.